The steps for strengthening your enterprise and increasing customer engagement has seen the rise of cloud adoption and a "bring your own app" trend in the workplace which continues to grow. IT and security leaders are hard pressed to keep up with the demands of a seamless user experience while protecting user identities across the cloud environment. 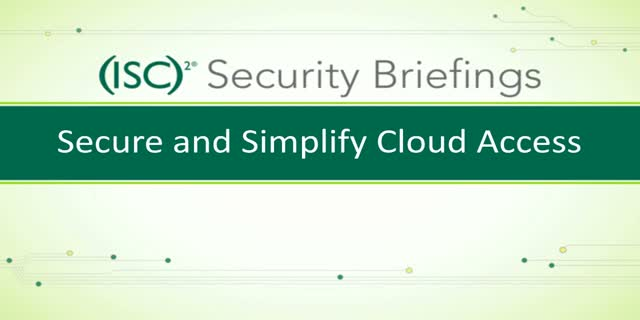 On December 8, 2016 at 1:00PM Eastern, CA Technologies and (ISC)2 will examine how to leverage identity-as-a-service to secure access to cloud applications - including provisioning, onboarding and deployment, deliver a seamless user experience without compromising security and how to keep up with the pace of cloud adoption.